Description "The Last Door" it's a free episodic horror game, with original pixel-art visuals and a gorgeous orchestral music score. Surrounded by a thrilling sound atmostphere, player's will experience a really inmersive environment thought the stimulation of their imagination, just like classic horror writers like Poe and Lovecraft used to. 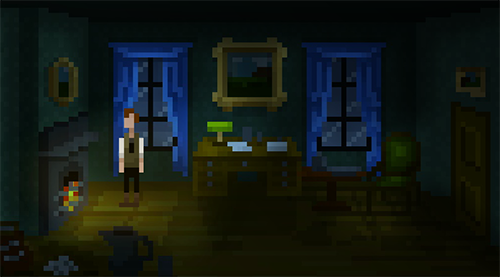 Finally the first chapter of this awesome pixel-art horror game is available!